Spirituality is not only unique to Indian culture but also distinguishes Indian character from those of the other nations in the world. 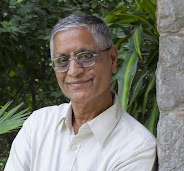 Since times immemorial, the Indian culture though accommodating small amends in its physical aspects necessitated by the demands of time and clime stands on a broad frame work of four basic columns with four sub columns each, namely, the four Vedas, four Purusharthas, four Ashramas and four Varnas. Each Veda, again, has four sub divisions, namely, Samhita, Brahmana, Aranyaka and Upanishad which constitute basic mantras, rituals, philosophy of the rituals and the wisdom based on inquiry in to the secrets of being, respectively. Thus, the fourth part of each Veda constitutes spiritual knowledge of the great sages. On the same lines, among the four Purusharthas, viz., Dharma, Artha, Kama and Moksha, the ultimate aim of the life of an individual relates to spirituality. Among the four Ashramas, viz., Brahmacharya, Grihastha, Vanaprastha and Sanyasa, the fourth Ashrama of a man is devoted to the spiritual pursuits. So also, of the four Varnas which show the four different types of functions of four main parts of body of an individual, the functions of the intellect represented by ‘face’ of an individual lead to spiritual progress. Basic knowledge (Veda) and the way of life according to dharma are acquired by an individual during his brhamacharya ashram by serving (the service is represented by the feet of an individual) his Master. Later he enters Grihastha ashram and earns resources to fulfill his desires as represented by the functions of one’s stomach following prescribed rituals stated in Brahmanas. After reaching a stage of contentment with the fulfillment of desires adhering to the principles of dharma and practicing the scriptural procedures, he should be courageous (varna representing the shoulders for bravery) to leave the worldly life and adopt Vanaprastha ashrama. Towards the evening of his life, he endeavors to attain Brahminhood through the Upanishadic wisdom and spiritual experience which may further lead him to the ultimate goal, the Moksha. Thus, all these aspects are meant to evolve an individual passing through a material life. In this path of graded progression, no stage or no function or no aspiration or no part of knowledge are either overstated or understated. Each one of them is given equal importance according to the situation an individual is placed in. Therefore, Indian culture is built on a sound foundation of knowledge, dharma, brahmacharya and the dignity of physical labor while its surface structure rests on the other two aspects of each branch. Top of all these constitutes wisdom, vairagya, brahminhood and moksha. Thus spirituality in India stands on a concrete objective base supported by well formulated design for material living. Spirituality evolves the object into abstract through a graded and well guarded path. It does not reject comfortable living or sensual pleasures or denounce the social or political responsibilities of a person as long as he continues to live in the society. Everything has a proper place in Indian culture. The entire structure is designed for an individual who has realised that his life has a goal and that his living has a purpose. Thus Indian culture is aimed at culturing an individual rather than stratifying the society. However, there is no injunction that one should follow only this gradual path for the salvation. One could also develop a detached attitude towards the worldly pleasures or comforts and engage himself in the service of his fellowmen or country as a path for his liberation. Despite numerous paths, this spirit of inquiry into the phenomenon of being, which is known as Jijnasa, shaped the Indian psyche and characterized Indian culture unique. Since all life is only material, even the sages or sanyaasis living in the forests for their spiritual pursuits also did not shun their obligations to the society in the hour of need. There are many instances in the Puranas and the epics that such Rishis had not only interfered to depose a bad ruler and punish him for his misdeeds as common man’s life became miserable but also installed a good ruler or a new dynasty of rulers or caused the birth of such great rulers or founders of a good dynasty. In the historical period, there are several such occasions where great spiritual personalities or conscientious intellectuals took the lead to set the things right in the polity when it failed to protect the Dharma for an orderly society. The overthrow of the mighty and headstrong Nandas of Magadh was successfully monitored by Acharya Chanakya. There is a legend in the Telugu folklore that a spiritual minded Brahmin caused the birth of Salivahana, the founder of the Satavahana Empire, marrying a potter’s woman. The imperial Kakatiya line started with the installation of Rudradeva by a Saiva saint according to literary and epigraphical sources. It is an established fact that sage Vidyaranya played a significant role in the founding of Vijayanagara Empire. Even in the establishment of Bahamani Empire, it is said that a Brahman gentleman had a role to play. It is of course well known that Samartha Rama Das was a great source of inspiration and guidance to Chatrapathi Sivaji in building up a Maratha Empire. All these great inspirers who opted to stay behind the curtain did not take any advantage for themselves nor continued to stay put beyond the time that their presence was required. Discharging their obligation to the society when their involvement was warranted with a spirit of detachment to the mundane world for their temporary selfish benefits has been a healthy sign of the Indian society. This has also paved the way for the mass participation in the national struggle for freedom under the inspiration of such leaders who took the mantle in their hands when the situation demanded and opted to go into oblivion after the achievement of the cause. For the national awakening in India, many such personalities came to the fore front of the struggle and led the people. Swami Dayanada Saraswati, Swami Vivekananda, Bala Gangadhar Tilak, Sri Aurobindo, Mahatma Gandhi, Annie Besant, Jyothiba Phule, Narayanaguru and the list goes endless. In the cases of ancient monarchial system, any one spiritual master could deliver the goods. But Indian colonial State under the British imperialism offered a complex political situation requiring a concerted action involving general public who were not politically conscious in the modern parlance who were stretched over the length and breadth of this sub continent. Awakening Indian people and mobilizing them for an effective political action needed various strategies. This had also necessitated the rise of regional movements, caste movements and socio-religious reform movements originating at different places and spreading to the other regions. Each region offered some peculiarities and warranted a different strategy of its own. Surprisingly, the writings and speeches of some spiritual personalities like Rabindranath Tagore, Swami Vivekananda, Swami Dayananda Saraswathi and others also inspired the youth to adopt terrorist strategies. Tilak’s interpretation of Bhagawad Gita gave rise to extremist politics. Hyderabad state too had its own peculiarities. The rule of the last Nizam, Mir Osman Ali Khan, turned communal by the early 1930s besides being a feudal autocratic state from the beginning, which did not permit any political mobilization in the state. Therefore the movement for political awakening of the masses wore the mask of a cultural movement. The resentment against the Nizam’s rule could not apparently surface till the founding of the Andhra Jana Sangha in early 1920s as a self respect movement of the Telugu speaking people in the state. The Library movement which was started in the wake of 20th century received a fillip with this language movement. Andhra Maha Sabha emerged by 1930s taking a clear political stand by passing resolutions for economic demands under a cultural garb. But it was termed as an annual fair. The Arya Samaj also started its activities on the religious front but it received a serious threat from the communal nature of the state. Therefore, it could not make rapid strides in the mobilization of people. Moreover, the Suddhi movement undertaken by it took the communal overtones and nvited the wrath of the Ittehad ul Muslimeen, which in course of time built a militant Razakar contingent. The Razakars had grown into an extra constitutional authority in the state enjoying the state patronage. The Nizam’s government was zealously guarding the state from the influence of the national movement that is taking a definite shape in the British India. Under these circumstances, Swami Ramananda Tirtha, a sanyasi, took the reins of Hyderabad State Congress, a banned political organization even before it was born formally. Swami Ramananda Tirtha, before he took to sanyasa was known as Venkatesh bhava Rajo Khedgikar, was born on 3rd October 1903 into a lower middle class Brahmin family in Chinnamalli Jagir of Sindigi village in Gulbarga district (which is now in Karnataka state). His father, Bhavu Rao, was leading almost an ascetic life and the responsibility of maintaing the family fell on his mother, Yashu Bai. Under the influence of his father, he also developed a taste to ascetic way of life. He was engaged in philosophical discussions and yogic practices from a very tender age. He was meeting Sadhus and learning yoga and penance. He was in High School at Sholapur when he joined the Non-cooperation Movement in response to Gandhiji’s call. After the Movement was withdrawn, he resumed his studies and did his B.A. from Tilak Maharashtra Vidyapith, Poona. He wrote a thesis on ‘The Evolution of Democracy’ for his M.A. Thus, he equipped himself with the modern western education and acquired thorough knowledge of Western Political Thought. During his College days in Poona, he was attracted towards Bala Gangadhar Tilak and his Home Rule Movement. Mourning the sad demise of Tilak on 1 August 1920, he pledged to himself, “From this moment onward, I shall dedicate myself to the service of the mother land. I shall go the way of renunciation and shall be a life long Brahmachari”. He stood by his pledge steadfastly until he passed away on 22 January 1972. For sometime, he was also attracted to trade union movement inspired by his paternal uncle, R.A. Khedgikar, who was his guardian since his boyhood. He also worked under N. M. Joshi, the Father of Trade Union Movement in India, when the workers were facing miserable effects of Economic Depression in the late 1920s as a result of the First World War. But his sudden ill health brought him out of the Trade Union activities. Later, he opened a school on Gurukul type and continued to run it till he took informal sanyasa on 14 January 1930 and felt that his life’s ambition was fulfilled. He accepted the Nature as his Guru. A Sanyasi, who did not reveal his name to him, left great impression on his mind. He was formally initiated on 14 January 1932 into sanyasa,(known as vidwath sanyasa) by Swami Narayana, a karma yogi stationed at Lucknow, who was a direct disciple of Swami Rama. He entered into active political mobilization while working for Arya Samaj and Maratha and Kannada Parishads. He came to limelight with the Hyderabad Educational Conferences particularly the Second Educational Conference which he himself organised in 1937-38 at Latur in Aurangabad District. He joined the political struggle with the founding of Hyderabad State Congress in 1938 and remained its President through out the freedom struggle in Hyderabad. Being himself a sanyasi, he even advocated use of violence as a strategy to be adopted by the Congress to fight the Razakars. After independence, he did not aspire for any berth in the government and withdrew voluntarily from power politics though he served two terms as Member of Parliament from 1952 to 1962 and took up constructive programmes to uplift the downtrodden. The case of Swami Ramananda Tirtha is a role model depicting spiritual foundations of Indian Nationalism. Spirituality did not shun its responsibility to meet the demands of the time and the spiritualists favourably responded to the call of the land and its people. After they found that their role was no more necessary, they voluntarily withdrew themselves from active politics. The Karma Yoga of Bhagavad Gita inspired many such sanyaasis to join the mainstream struggle with a sense of detachment. Those, who renunciated the world for themselves, took active roles in the struggle. The nature of the freedom struggle unlike individual political intervention of ancient and medieval sages at the hour of need drew more such individuals to lead the long drawn popular movement against the foreign rule. The author owes his understanding of the ancient Indian cultural and spiritual ethos to Sadguru Sri Sivanada Murty, Bheemunipatnam, A.P. However, he owns the entire responsibility for all his shortcomings in understanding and expression.